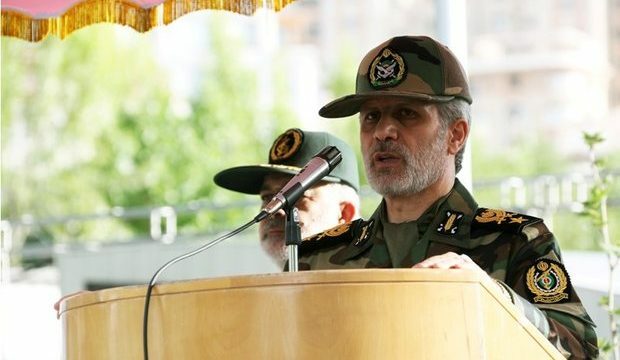 MNA – Iranian Defense Minister Brigadier General Amir Hatami hailed the constant efforts by domestic experts in the defense industry, saying that the achievements in the strategic sector will observe a boom during the next Iranian year (starts on March 21). Addressing a conference in Tehran on Wednesday, which was attended by senior officials of the Defense Ministry, General Hatami referred to the numerous achievements that Iran has gained during the past years, saying that the move will continue with more power in the next year. Pointing to the enemies’ conspiracies to disappoint the Iranian nation from the ideals of the Islamic Revolution, he promised that the Defense Ministry, relying on the potentials of its domestic experts, will experience a flourishing period in the next year to foil the enemies’ fiendish plots. Earlier today, General Hatami said Iran is ready to give a firm response to any action against its integrity. He was reacting to the belligerent remarks by Israeli Prime Minister Benjamin Netanyahu, who threatened last week to block what he called Iran’s “covert” oil shipments over maritime routes meant to “circumvent” US sanctions. According to General Hatami, Iran views any Israeli naval action against the country’s oil shipments as “piracy,” vowing a “firm” response to such an assault.